Oliver Richmond is a research professor in the Humanitarian and Conflict Research Institute and the Department of Politics and International Relations, University of Manchester. He is also International Professor in the School of International Studies, Kyung Hee University, South Korea. His publications include A Post Liberal Peace (Routledge, 2011), Liberal Peace Transitions (with Jason Franks, Edinburgh University Press, 2009), Peace in International Relations (Routledge, 2008) and The Transformation of Peace (Palgrave, 2005/07). He is the editor of the Palgrave book series Rethinking Peace and Conflict Studies and co-editor of the journal Peacebuilding. Ioannis Tellidis is an assistant professor of international relations at Kyung Hee University, South Korea. 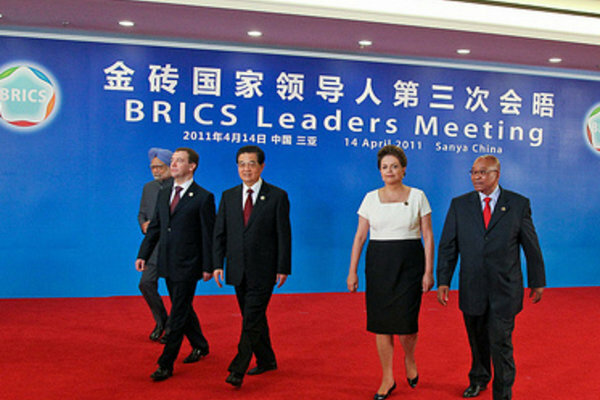 The emergence of the BRICS has generated a renewed debate about peacebuilding and donor activity. This has slowly influenced the aims, norms and practices of international peacebuilding, statebuilding and development. There are subtle differences in BRICS members’ interests, approaches and motives, power, influence, and adherence to or rejection of established standards (such as OECD-DAC principles). These states’ activities have often attracted scepticism and criticism from traditional donors. An examination of their engagement with interventionary forms of development, peacebuilding, statebuilding, and their related institutions and practices shows that the BRICS can be both “status-quo” and “critical” actors. On the one hand, they all engage with the liberal peace paradigm and its often-neoliberal agenda that allows them to protect sovereignty and non-intervention, pursue trade interests, and advance their own interests (like a seat on the UN Security Council, regional stability or maintaining their often-ambiguous status of being both aid donors and recipients). On the other hand, their involvement has challenged peacebuilding’s and development’s Euro-Atlantic character through the unfolding of their own donor and peace agendas. This report highlights the instances in which traditional and emerging actors’ agendas converge and diverge – and the motivations behind these agendas.